Preheat oven to 200°C. Combine mince, onion, breadcrumbs, garlic, egg and herbs in a bowl. Season with salt and pepper. Use clean wet hands to roll 2 tablespoonfuls of the mixture into a ball. Repeat with the remaining mixture. 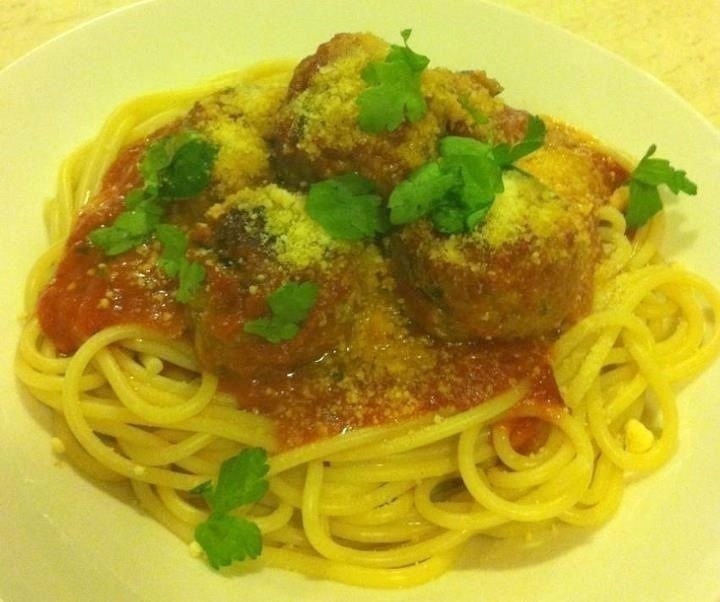 Place the meatballs in a ceramic baking dish and pour over the pasta sauce. Cover the dish with foil or baking paper and bake for 10 minutes. Remove the foil and bake for a further 15 minutes or until the meatballs are cooked through. Meanwhile, cook the pasta in a large saucepan of salted boiling water following packet directions. Drain and return to the pan. Divide the pasta among serving bowls and top with the meatballs. Sprinkle with the parsley to serve.